Back by popular demand: a number of exquisite artworks by top artists are secreted in anonymous brown paper bags, pick your number and take your chances, and for just £50 you could walk away with a mini masterpiece by one of Scotland’s leading artists! 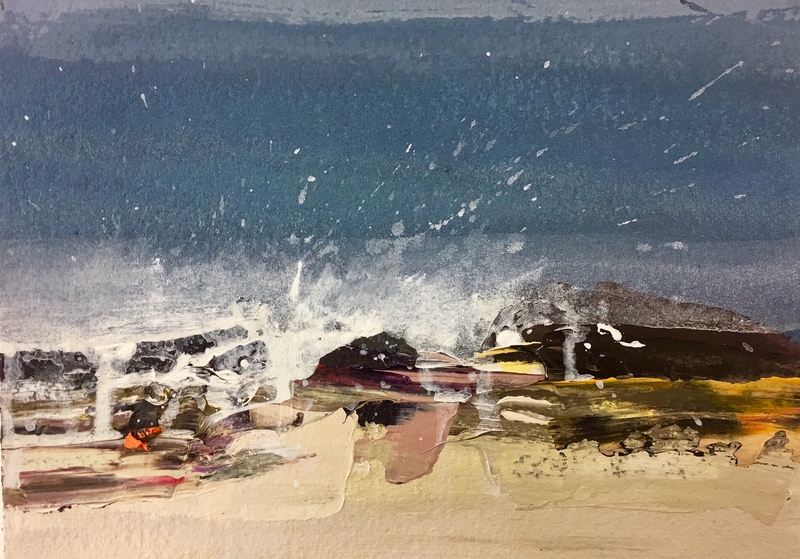 Artists already confirmed are Robbie Bushe, Paul Furneaux, Joyce Gunn Cairns, Alan McGowan, Matt Draper, Joe Fan, David Forster, Lys Hansen, and this beautiful little number by Chris Bushe. Pop into the gallery and ask at the sales desk for the full list of artists and to pick your lucky number! Or give us a call on 0131 6246476 to reserve your number.